From Software’s Bloodborne is a role playing action game which made its way on to PlayStation 4 platform last month. The PS4 exclusive has been a welcome game after the mixed sentiments on the last release of The Order: 1886. The game has so far done well in reviews and is a good title to have in terms of value for money and playability (i.e. if you like dark alley games). The latest news regarding the most recent PS4 exclusive is that Bloodborne has received a new patch upgrade that has solved one of the biggest in game problems. 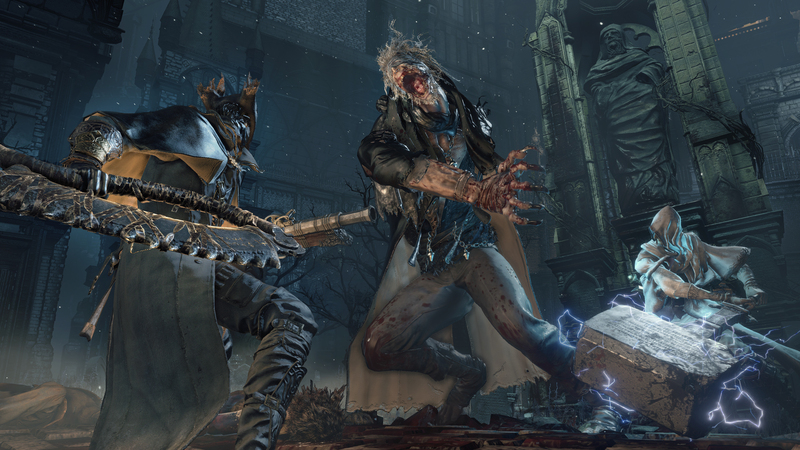 The biggest issue of Bloodborne has been resolved. The games’ load time which previously was a tiring 45+ seconds has been reduced to 10-15 seconds thanks to the game developers. Although the exact load time can still vary in the range north of 15 seconds, now the wait has been made a bit more productive by the team as it now gives you a description of items and object within the game while loading, rather than a blank screen saying Bloodborne. The bug that prevented the player from using custom body types in the character creator has reportedly been fixed. So you can go ahead and update your game to enjoy less load times! Do share your take on the update in the comments.